LOL damn man, don't feel bad.. I used to love the huge bongs but I would always get way to faded then go to pour the water out and end up smacking it on the sink or tub.. where ever I was cleaning it at and breaking it... I did this with like 5 or 6 400$ bongs... now I only buy tiny ones and alot of vapes wont work with the huge ones... I have one medium size one that I use with the plenty but that is far as I am going now days.. these are the main 3 I use.. I broke my duel matrix cleaning my desk. So not sayin' what I really think. Except I feel the love/hate relationship with glass. It does have a heavy base to it. But could hit the floor with one wild arm swing. Maybe have a side usage table for glass and desktops vapes about 3 foot from the floor and keep the main desk for other clutter or arm swinging room. Gawd the amount of mess and clutter and adapters rolling off the table, I used to bother with my EQ. So glad I'm at least past that. You prefer dry vaping? Maybe get some glass that has the function that you want. One with a large volume with the right restriction. Like the one you already picked out might already fit the bill. Actually. Since you arn't bound by water, might as well open up those options. I have a piece that uses as little water as necessary to make it function in the way I want. plenty of volume after it passes through water. Twas such a nice little bong, I might pick up another. It was cheap enough, and it worked great with my Solo 2. How does somebody even break a rig in that spot??? Why would one do such a thing...? It's all about the "Simax Glass"
Hey Bud, good timing btw, and a blessing in disguise. Allow me to explain: my FC 186 also is now bust. It has cracks on the same spot as yours does. Im sure it happened while I was cleaning once (or twice-it did get bonked a bit!) It carried on for a while but then started to leak. Anyway I wasn't too disappointed. I bought the186 originally last year based on Edwyn's strong recommendation as the new "FP beater". A lot have since bought the 186 for their Flowerpot. However, at the time of his recommendation Edwin himself was using and demoing a slightly different model- the one in the Newvape vids. After I bought the 186 I kind of wish I had the Newvape model which they went on to sell themselves after this time. It's just slightly shorter, but crucially has a difference design neck and mouthpiece with a better angle IMO, both for comfort and viewing vapor production in the tube. That was one aspect I never liked about my 186 I found it really difficult to get a good view of the milk that was coming. 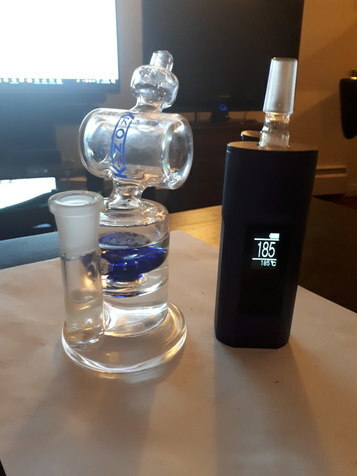 So after my 186 was retired I have kind of missed it, or rather the role it fulfils as that type of bubbler for me which is smooth for large hits. I found myself at a loss as to what to look for next because I wasn't totally happy with the 186. Finally I had an epiphany and now I have ordered what I believe is the exact same model as the original Newvape one from late last year (except they now seem to have an entirely different and nowhere near as good looking model), from dhgate. I MUCH prefer this design. I cant wait to get it now and am so glad the 186 died. I also wanted to tell you about it but figured no point right now...but there is now! I messaged the seller and said I only want that exact model. They checked and confirmed they have it. Seem like a good seller so far. Looks like they had both models but just this one now. I like mine better 100%. And- I Watched your whole stream back now and was really fun, the most relaxed yet to me. You seemed really happy and free in yourself too. Good job keep it up. I LOVE glass and its worth it even though it will break. I have that one from NewVape that came with the full FP kit I bought. It's actually a pretty good piece, and yeah the angle on the neck is good for milk gazing. I also bought some new glass second hand, I may try to post some in the new glass thread later. @VapeCritic hey bro. Just a quick heads up- in case you thought about it, dont order that FC-186 bubbler alternate model I mentioned and linked above. I did , and the buggers swnt me a completely different model! Despite some basic design similarities, it is shorter, narrower (especially base), different mouthpiece and above all- the wrong joint size-14 mm! "Dear friend,the same thing you see It from different angles,it will be different.I know you are a perfect person to pursuit perfect thing,but you buy things from Internet,there will be a little different from the actual things,even If It is the same thing,so pls donot be so picky,we are not easy to sell things through Internet,sometimes they are broken through long distant transportation,sometimes customers too picky to find something different.We really earn little.I earn money to raise two children,now I am feeding my kid and reply your email." Im trying to get a resolution still. 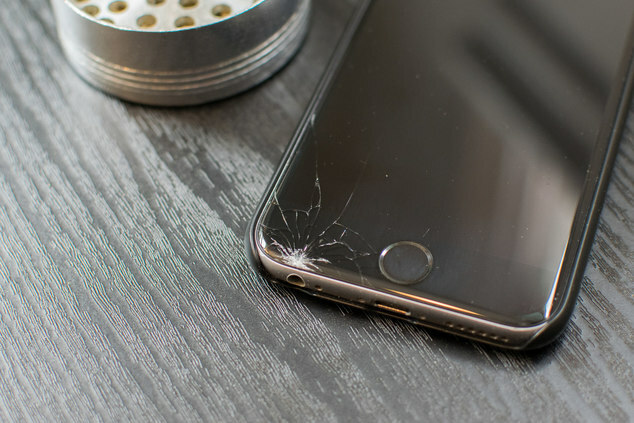 Just avoid seller "glass7" at all costs! that is the one I want. I thought I had found the exact model but alas, no. Im looking at every option for the Stereo Matrix but cant find that model now, so I reckon Im gonna have to pick one from the best of the rest. Looks like it has the design you want but the can itself looks like it's smaller. Not so bulky. Less volume. But probably a good view on the milk :eyes: I think I've seen him using this glass also in some of his videos. It's more expensive but since you're already in the UK maybe it's an option. 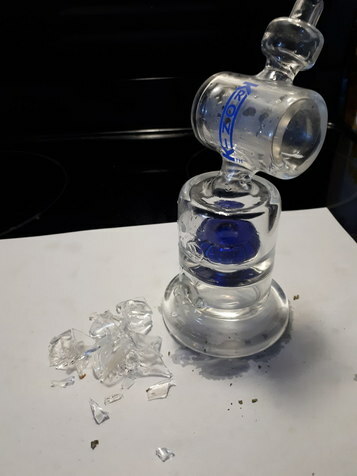 I have had good luck with DHgate..Had a bong delivered cracked last week and a new one is on the way..I will say it was packed real good but still cracked..Thats when I brake my glass when I am cleaning them..
thanks a lot fONz I somehow misswd that one. 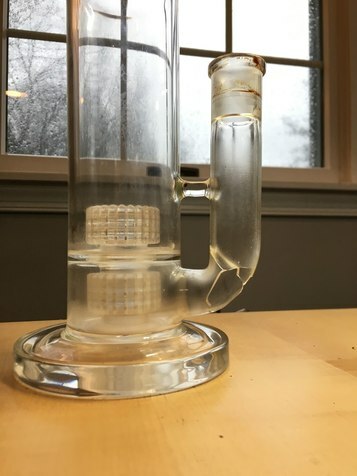 I know the honey tower but I had a double honeycomb bubbler once (I still do in fact, sitting in its box junking up my room 3 years on haha), and the draw restriction it had murdered me to bits. It was simply unusable. So I've stayed away from honeycomb ever since, although others seem to like them and dont find a problem? Yes you are dead right, the Bomb tower has the same sort of angled neck as the Newvape model. It is a bit taller than I would like. The FC-186 is 34cm. The Newvape model is about 31cm. Just that little difference however can make the pull noticeably easier. So my plan was to pick one of the shorter models. Except the height may be slightly illusory, as the Bomb Tower neck looks longer so the lower can volume, and therefore overall volume- may be a little lower. I def prefer the Newvape model mouthpiece design though. It looks like the previous Bomb tower had a diff mouthpiece shape, from George's 2015 Sublimator video. Besides the height, and the mouthpiece design, Im interested. Also though is more pricey of course. No Hi5 discount code accepted at Vapefiend currently so its full price at £39. Compared to £24-32 ish from China. Right, some decisions to make. Thanks again fONz have a very nice evening. I have had mixed results with DHGate. Stevenlms79 (Popular Glass), clearcleanglass, sunshine store...all good. Did order one piece from another lesser vendor...can't remember the name...and it came with a crack and the vendor claimed it was past the inspection period and offered me a $10 against my next piece. Glass was still usable (crack was in what looks like a thick lathe turned MP) so I donated it a person in need, told the vendor "no thanks" (actually, wasn't quite that polite or sanguine about it, really) and now I stick to the big boys who have a very good and verifiable track record. Hi Baron. I presume you have seen the good and bad gate seller lists thread on FC? It is a great idea. Im using it as an incentivsor (good guys) a decentiviser (if thats a word- for the bad guys), and as an extra bargaining chip to hopefully encourage sellers to be on their toes and importantly, make right their mistakes in a fair and reasonable manner, if they think their reputation will be publically harmed, or helped, affecting business both ways. yeah thats the one I've been talking about which Im looking to replace since it broke on me, same as Bud's 186 did. But I dont want that model again, hence my search for the same model as the Newvape one, which has a better angled neck and is a little shorter at 31 cm, making the pull and clearance a touch easier. I have decided to get the Bomb Tower from Vapefiend, but I wanted 2 stereo matrix's anyway for socials. So Im trying to buy this one, this seller is on the good list. But the system wont let me add a new bank card. Look at the review picture by clicking on it. That piece has a good neck angle, and is only about 30 cm. Only £24 to UK, if only I could pay damn it!! So I reckon- one of each. A taller, and shorter. Makes sense. And the Bomb Tower will get to me fast as well, I need it soon. Yes, I have, Alexis. Thank you. :up: But those three I listed are long time well known good vendors so I generally stick to them. well Im not sure if it a black and white case of older or newer. There are just many variations of the design from different sellers. Lots of slightly different versions, varying heights and slight design/proportion differences. The taller 186 is to me just the specific model Poplularglass produce. The one I linked has a better angled mouthpiece in the only picture review. That is the best way to see what exact model you are likely to receive, as unfortunately the product images done always match the actual item or model they have, which is an irresponsible oversight. And it is much cheapef than the 186 as well. I just ordered the Bomb Tower anyway. Really pleased to be moving forwards, have been a bit stuck on the chessboard lately- broken bubbler, new one- wrong one, hassle with seller, cant pay on dhgate or add new card.....not to mention the problems I had with the bad coil and waiting for a new one. And Im not really going to be happy, settled and content vape wise, until I get the Digital Herbo and at last have an eyes closed top desktop unit at home soon. As far as DH gate goes, I only buy from the guaranteed sellers. And ones that have been around for a while. I had a crack in one that i had bought recently, sent the seller a message, they asked for pics, and after a few back and forth messages I had a new one sent out within a few days. And, not unlike buying a new vape, I also read through the reviews too. The sellers that I've dealt with so far have put a lot of value in their reviews, and don't want them tarnishing their reputation. On my most recent purchase from there, the seller sent me a message right after I ordered to ask me to make sure that I contacted them directly if there's any problems, as they don't want any bad reviews and want the opportunity to fix any problems first. @Alexis I'm glad i could help. I see you already ordered the Bomb Tower. Now i want one too :cool: Did not look at the neck, only at the stem and i like the rounded stem from stevens version. But the long neck is a nice feature. Mouthpiece is acceptable too. Maybe..
Also no Honeycomb fan. One layer is maybe fine but there are so much nicer percs out there. Thank you for your last reply and offer. However this is not an acceptable solution. I have no interest in the bong you offer me which looks very low quality, awkward and totally unsuitable for my needs. "I am a kind person. I have been thinking very hard what is a fair solution here for everybody involved. Because I am kind hearted my emotions have been affecting my thinking, because I do not want you or your business to suffer. I looked up to see how much it would cost me to return the item to you for a full refund. If the item was usable to me I would possible request a partial refund. But the item is useless to me and it would not be correct for me to lose any money myself as a result of this mistake. That would not be correct or fair. The problem is the expensive return postage. It will cost £15-20 it seems to send the item back to you, and I cannot be liable for the return postage costs myself. I have been thinking very hard for a fair solution where nobody has to lose money here. But this is the only fair solution- to return item for a full refund plus postage costs refunded as well. I have asked for advice on the forums. I had to share my experience but I asked the moderstors to wait until this problem is resolved to give your business a chance to keep a good reputation. I asked them- please dont place Glass7 into the "bad seller list" until the situation is resolved. This was not my request and is only temporary. The community is watching this case now and I will do my best to seek a fair solution. If you can do the right thing here you can still keep a good reputation and be placed in the "Good seller list." Everybody on the forum is very shocked at how I have been treated over this transaction. 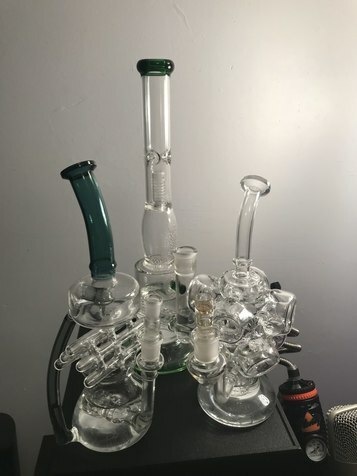 Nobody would be at all happy with this purchase, and they say the 18 mm green bong you offer me is totally unacceptable. This is the only fair outcome here. I feel I have even more right than usual to insist on this action because I did ask you to make 100% sure you would send me the exact same model in your product photos. And you said yes, you checked and it will be the same. Now you tell me that was the old model, and now you have sent me the new model. If you had ckecked properly at the time then this whole situation could have been avoided. That was my intention ,to save this hassle. So please can we agree to this resolution? I dont know how to proceed. I will need to find the cheapest postage option I can. I dont onow what the formal process is here. Do I need to open a dispute? Or can we arrange this ourselves with your agreement to refund full amount plus return postage? I cannot accept any other solution as satisfactory and faie to everybody involved. Every good business wouod agree with this and woukd automatically do this correct course of action. They would offer this solution without arguing against me. I am hoping you will do the same now and can see that this is the only fair outcome. If you can do this it will help your reputation very much. Many thousands of potential customers view this large forum everyday and use it as a buying guide. This is not a threat. This is just what we are doing to identify the good and bad sellers, to protect the buyer and also to support the good businesses. So it is an automatic process where a good seller reputation is guaranteed to create more business for you. I await your response and I sincerely hope we can resolve this matter quickly and smoothly. "OK,I see,We are on holiday,will handle It on May 2 When We back to work." "Hi,we decide to give you full refund,you keep the bong and donot need to return It back.If It is useless to you,you can throw it.And you Let glass7 out of the problem seller list,OK?If OK,we will refund you after We back to work." So it worked! :clap: The mere explanation of the thread got the most stubborn ignorant seller behaviour completely shifted for the perfectly fair solution which any good seller would automatically offer after the initial mistake. This bodes very well for us all. If we can all work together on this and take the same approach, building and recording our experiences as we go, then I am sure we can affect very many cases and motivate sellers to be more attentive to detail, admit their mistakes when they are on the wrong, and be more willing to compromise. Dropped the top half of my grinder onto my phone, BEAT THAT!